The blog will be updated again on October 14th. Are you based in London? If so, I need your help with some Disney-related research. 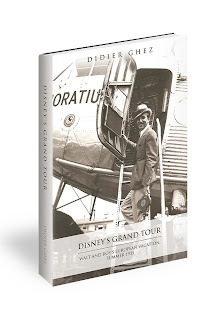 I need someone to go to the British Film Institute and dig into the Denis Gifford Collection. 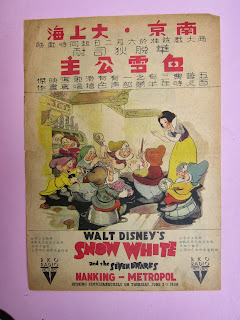 I have a feeling we might be able to find a few treasures related to the early history of Disney in the UK (pure speculation at this stage, but some clues tell me that we might have some good luck). If you are ready to volunteer, could you email me at didier.ghez@gmail.com? 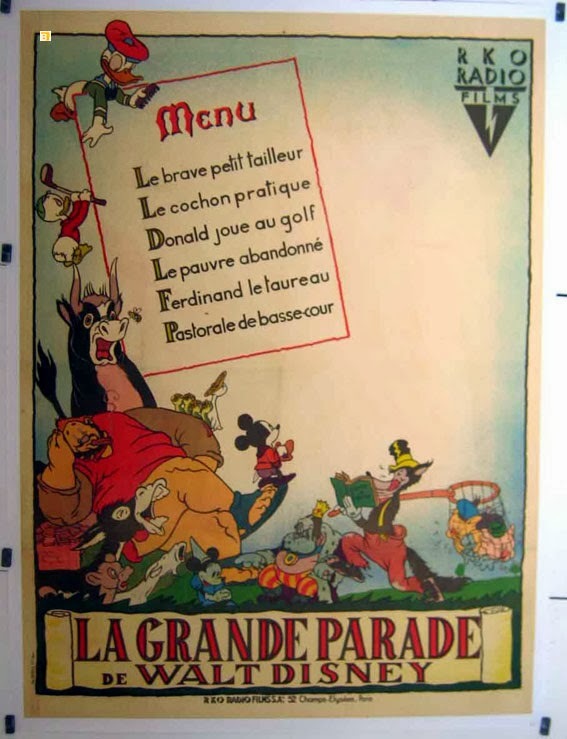 My upcoming book, Disney's Grand Tour, discusses among many, many other things the origins of the compilation of Disney shorts released in France in 1934 and titled L'Heure Joyeuse de Mickey. 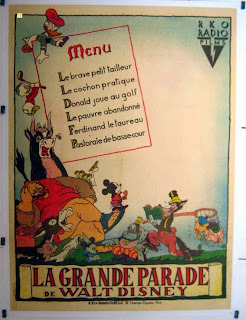 Another compilation of Disney shorts was released in France on March 13, 1940. I thought you might enjoy the poster, which I saw last week for the first time. [Last week I spent some days with the Tenggren holdings at the Kerlan Collection in the University of Minnesota, MN. I was there to do research for my Tenggren biography, which is planned to be released autumn 2014. 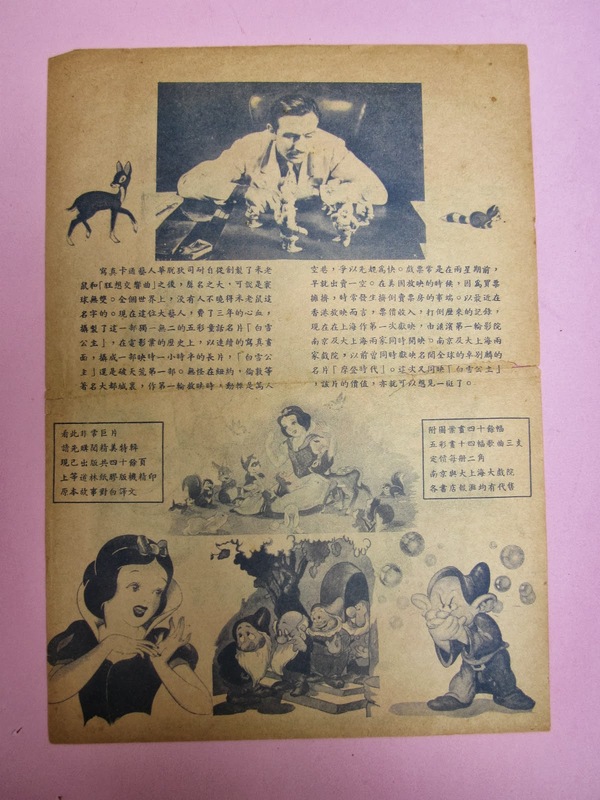 I had the opportunity to browse through a number of interesting items of Tenggren’s, among these this little folder from the Saturday Evening Post from September 1956, presumably an in-house staff publication. 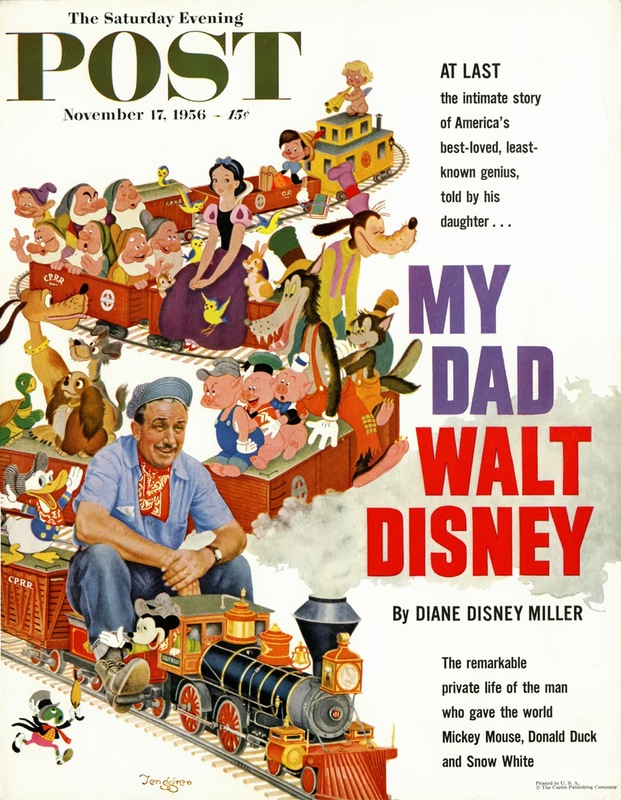 Later that year, in November 1956, the famous Tenggren cover with Walt Disney on the train was published, illustrating Diane Disney Miller’s article “My dad Walt Disney”. The folder describes the process of the cover from idea to finished painting. Not exactly Disney-related, but I am certain that most of you will want to know that this book will be released tomorrow. 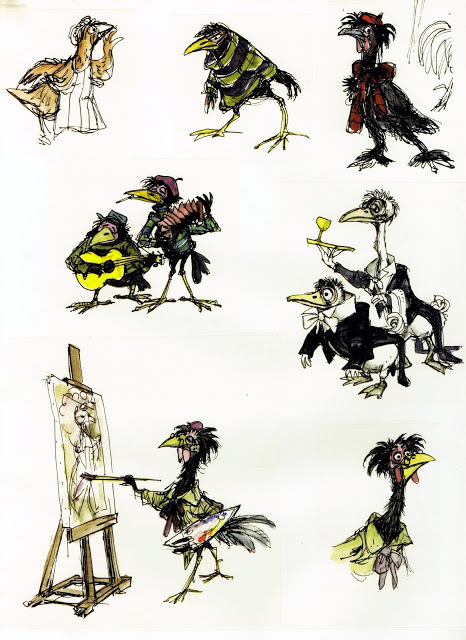 You may remember the fascinating chapter about the Ink and Paint Department from David Johnson's manuscript The Life and Times of Snow White and the Seven Dwarfs which I posted on the Disney History blog a few weeks ago. David now has a blog and he has been posting more extracts from the book. I have a feeling you will enjoy it. This great picture was taken in Australia at the John Sands packing exhibition at the Sydney Town Hall between August and November 1936. Among other things, my upcoming book, Disney's Grand Tour, pieces together the early history of the Disney offices throughout Europe, adding a tremendous amount of details to what was known until now. 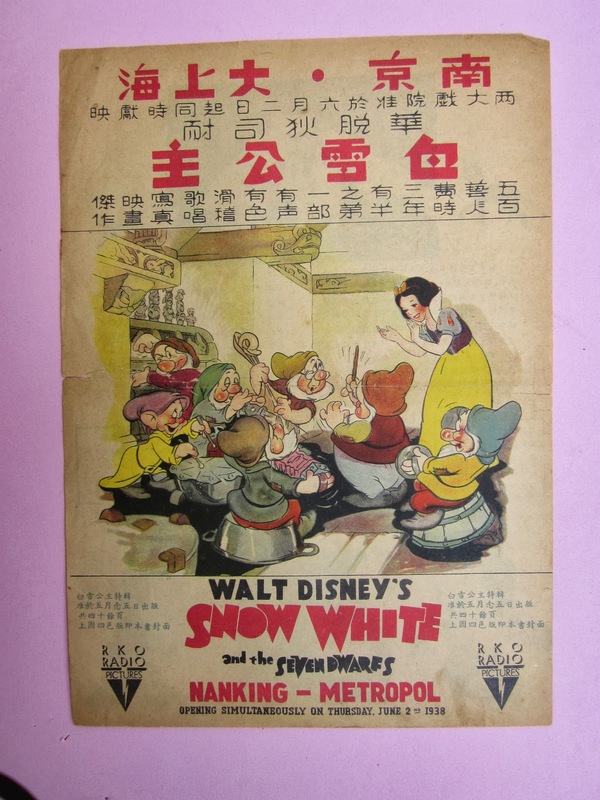 However, when you look at early Robert Hartman stationary and Kay Kamen catalogs, you realize that, apart from Europe, Disney also had an "official" presence abroad in Australia since at least August 1934. 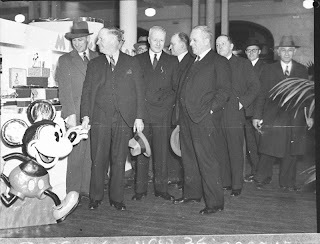 From what I was able to gather, Disney was first represented in Australasia, through the Australian company John Sands Ltd. Walter Rogan Granger was working for John Sands at the time and seems to have been the Key Account Manager for Disney as early as 1935 (and maybe even earlier). 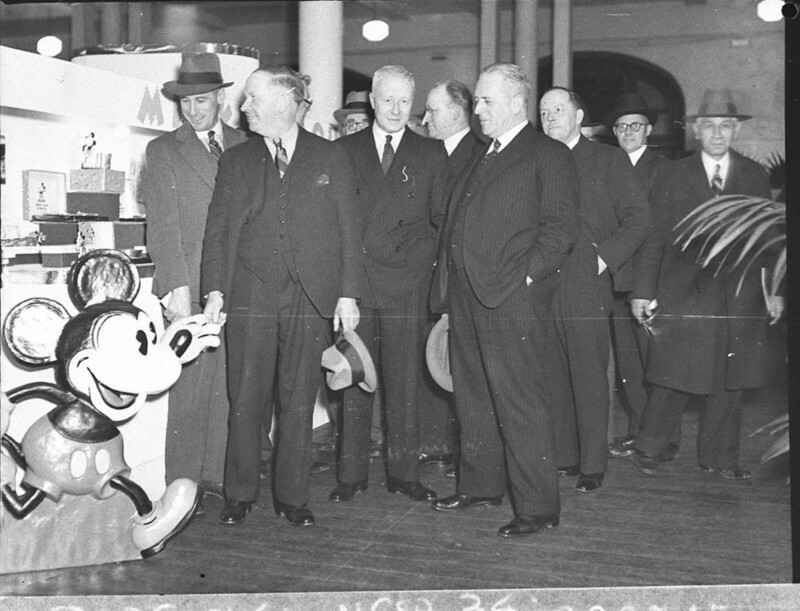 By the end of October 1939, Walter R. Granger resigned from John Sands and became the General Manager of the newly created Walt Disney - Mickey Mouse A'sia Pty Ltd. He passed away in January 1947 and was followed as GM by his son, Walter Arthur Granger, who remained with the company at least until the 1970s. Do we have any readers in Australia? 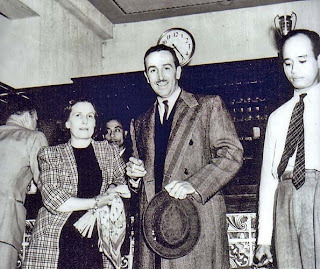 Have you researched the early history of Disney in that country? Do you know if the John Sands company, which still exists, preserved its archives? 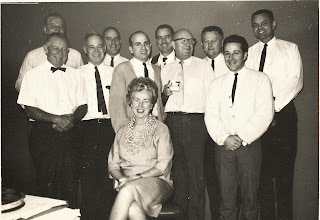 Do you know when Walter Arthur Granger retired? (He passed away in 2008.) Any idea of what were the first products licensed by John Sands and when? Any additional information which can be added to what I am mentioning above would be tremendously welcome. I would have loved to pick up this very unusual item on ebay if the price had not gone through the roof. 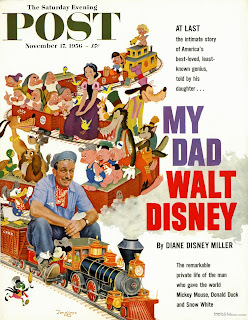 If rare vintage Disneyana fascinates you, then you do not want to miss this new site! 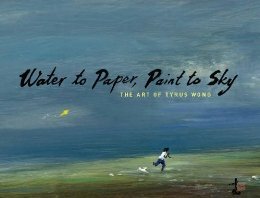 I have received a copy of Water to Paper, Paint to Sky - The Art of Tyrus Wong, the catalog of the exhibition about the art of Ty Wong which is currently taking place at the Walt Disney Family Museum in San Francisco until February next year. This is a gorgeous book which you should not miss. It contains about 20 pages about Wong's work on Bambi, and not a lot of text, but the text is very interesting and Tyrus Wong's art by its quality, subtelty and sheer variety is a true feast for the eyes. I wish I were in San Francisco right now. 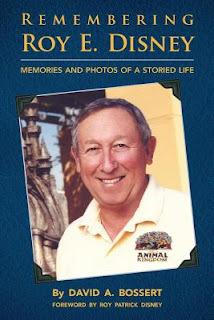 [We had such a good response to Floyd's appearance at Walt's Barn last month that we sold out of his books. Floyd has graciously agreed to return this Sunday, September 15. Please mention this appearance on your blog. 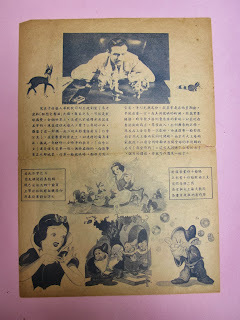 Since I mentioned this series of English recordings a few weeks ago, I thought you would like to see what Meet Mickey Mouse looks like (I just picked it up on ebay). I am still trying to find out the title of Number 3 in this series. 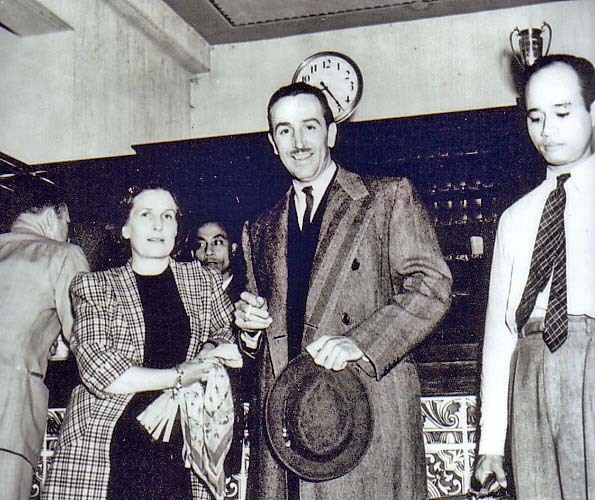 I don't think I had ever seen this photo of Walt with the King of Morocco. Simply put: I loved this book. It does contain a few typos and the format should have been way bigger, but the simple fact that it exists is a small miracle. 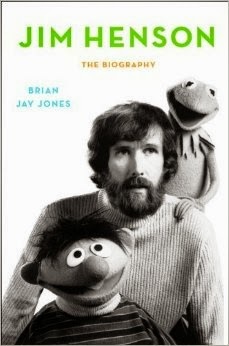 It is well written, honest, and full of great stories about Roy. A "must-have" without a doubt and a truly delightful surprise. Way to go to the author David Bossert! The cover of Charles Solomon's upcoming book has just been released. Can't wait! 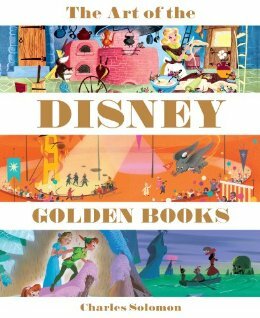 I had no idea that a 156-page long catalog had been released to commemorate the opening of the Tyrus Wong exhibition at the Walt Disney Family Museum. I will review it as soon as I get a copy, but this definitely sounds like a "must have". Would anyone of you happen to live in Germany? I would like to get a copy of this book, but the store apparently only ships to German addresses. Could you email me at didier.ghez@gmail.com if you can help?